New hope for advanced melanoma? (SACRAMENTO, Calif.) — On the new Showtime program “The Big C,” actress Laura Linney plays a character diagnosed with Stage IV melanoma. With less than a year to live, she embarks on a new lifestyle embracing each day as if it were her last. Indeed, advanced melanoma is a disease for which no effective treatment has been found. Unfortunately, diagnosis is usually considered a death sentence. Physicians at UC Davis Cancer Center are hoping to change that, with a new clinical trial to test both a surgery-focused approach to metastatic melanoma, as well as an old tuberculosis vaccine that unexpectedly showed some potential benefit against melanoma in an earlier study. The vaccine is Bacillus Calmette-Guérin (BCG), and is still being used in countries where tuberculosis is widespread. First used in humans in 1921, BCG is made from a strain of weakened bovine tuberculosis bacterium. Steven Chen, a surgical oncologist with the cancer center and principal investigator for UC Davis, said retesting BCG was worthwhile after reviewing the results from a recent trial in Stage IV melanoma patients treated with a novel vaccine called Canvaxin™. In that trial, conducted by researchers at John Wayne Cancer Institute in Santa Monica, one group of advanced melanoma patients was given BCG with a placebo and the other received BCG with Canvaxin. While Canvaxin with BCG did not seem to improve survival over patients who received BCG alone, both groups survived longer than is generally the case in patients with similar disease. Already in use against early-stage bladder cancer, it is believed BCG can help the immune system mount a defense against growth of some types of tumors. The new trial being coordinated through the John Wayne Cancer Institute will involve 399 patients from prominent cancer centers around the country who have melanoma that has spread to other areas of the body and are good candidates for surgery. Chen said patients who might benefit from surgery are those with tumors on their lung, bowel, liver, lymph nodes and skin. Trial participants will have either surgery alone, surgery plus BCG or “the best medical therapy,” which could include a number of chemotherapy or immunotherapy options. Designated by the National Cancer Institute, UC Davis Cancer Center is leading the way in identifying the molecular pathogenesis of carcinoma of the prostate, enhancing therapeutic response and identifying chemopreventions. 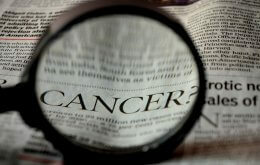 For more information, visit the Cancer Center Web site.